Social networks have become very popular recently in the tourism sector. This chapter presents the use of social media and more specifically Trip Advisor in reference to reviews of cultural attractions and their potential influence on the development of cultural tourism in Bahrain. The findings propose that people use Trip Advisor to collect information about a destination and share experiences with other community members. They also suggest that cultural tourism has a potential to grow in the region; however, there should be more information available. The cultural attractions should be more organized, offer more information, and enhance the cultural experience. 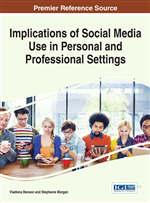 This chapter recommends that social networks and Trip Advisor should be used by the local tourism authorities for the development and promotion of cultural tourism in Bahrain. Finally, the attraction websites should be further enhanced and other social media could be used to communicate with visitors in Bahrain. The Internet has become the most significant phenomenon today. Moreover, the development of Information and Computer Technology (ICT) during the last decades has provided new opportunities to the whole tourism industry (Buhalis, 2003). The diffusion of the interactive Web 2.0 features and applications has offered tourism markets the potential to have real conversations (Milano, Baggio & Piattelli, 2011). Internet marketing has also impacted on both marketers and consumers, influencing and changing consumer behaviour in tourism as well. Hence, consumers nowadays take part in the communication of products including tourism products, and in many cases via online social networks they decide what information to share, how the information may be used, creating many challenges for marketers and other stakeholders (Stewart & Pavlov, 2002). Therefore, these new consumer demands have created new consumer needs, which means that organisations have to start rethinking the ways they operate and they communicate with their consumers. Social media has not only changed the communication with the customer, but have also made information easier to access anytime. At the same time they are a very good source of information on customer needs, demands and reviews on products and services, social media “are taking an important role in travellers’ information search and decision-making behaviours’” (Yoo, Gretzel & Zach, 2011, p.526). For example, TripAdvisor is “the leader among travel related consumer review websites, as 50 million users per month seek advice about their travel plans” (Fotis, Buhalis & Rossides, 2012, p.15). The research objective of this study is to identify the potential to develop further cultural tourism via social networks and reviews on TripAdvisor on the various attractions and cultural sites in the Kingdom of Bahrain.